So, it is time to start discussions about World Championships. We will follow good old routines and rules. I want to have few hosts to help me to organize this tournament. I will help you in discussion with captains and select the maps etc. Head of the tournament is me (Mikko) and my right hand will be Janne. Deadline to sign in into the tournament is February 28th. 1) This thread is where the players of the teams are named. Players of the teams are those, who are given to me separately (also in this thread). Captains are ”contact persons” or some named non-member of team (translation problems etc). Each team has 4 players and 2 substitutes. If a lower amount of players are available, when game starts, team must play by using only earlier named list of players. 2) Captains/contact persons are informed about time-schedule and IP-address and password of the games. They have to share this information with their team. USE PRIVATE MESSAGES OR E-MAIL! NOT FORUMS PUBLIC THREADS! 3) Delays or changes in time-schedule are informed to captains as soon as possible. If there are some problems with technical things, connection, important family-things of the host, there might be some changes. Hosts and organizers of this tournament are 1) TBA 2) TBA and 3) TBA. Spare hosts are Mikko_-Procyon- and Janne_-Procyon-. Mikko or Janne might be in the role of official referee in the matches too. And the game will start 20.00. If player is late, he can join to the rest of the matches, but there are no restarts for being late. Matches will be played Mon – Sun, but the most probable time for matches is Sunday evening. 5) There will be 4 lakes in one tournament. Length of the match is always 30min. Lakes are not named before start, but large maps are preferred. There are short, about 5min break between games. Results are counted immediately after game is over (and between maps or in some cases propilkki buddy software is used). There is 30min protesting time after the results are shown. If there is something wrong, captains do the official protest and send it to the organizer (-heikki-, kharon1 and holssi). Procyon Products make decisions for approvals and discarding of the protests. There is no possibility to complain about decisions. 6) If connection to the game is disconnected during match, player is out of the match. If some problems occur during start for more than 3 players, there will be 1 restart. If the same player is constantly having problems with start, no restarts are performed. If the host is crashed, then there will be restart of the lake. Players must rejoin as soon as possible. If there are some other major problems, it is informed to captains as soon as possible. There will be also additional information about continuing of the game. If the kalassa.net forum is temporarily “down”, then game information is shared by e-mail to the captains of the teams. 7) Most of the games are “normal” or “all the species” type of matches, but there will be also 1 special type of match in every league. If game type is ”largest fish”, no extra point for the largest fish is given. Host is counting points and therefore also collecting playlog-file. Host is not playing, he is only official referee. In cases of disturbing of other players game (e.g. drilling many holes too near), player must call referee to decide what is going on. Referee can discard the player, if some severe disturbing occurs. Too much spamming in chat is also counted as disturbing, but normal chatting is allowed and even recommended. List of game system, match table and leagues are shown later in this thread. 9) If there are 2 teams with same amount of points, positions in matches makes the difference. If EVEN THIS did not make a difference, largest fish of the team is taken into account. If EVEN THIS did not make a difference (nearly impossible situation), I will toss a coin to find out the winner. 10) Final is played with the same system than qualifying leagues. 11) Chatting during games is allowed, but private messaging is preferred. In public chat, the language is ONLY English. No other languages are allowed or player will get muted. 12) Latest release of the game (to be released soon) is used in the tournament. Player can also use mobile version of the game, if desired. 13) The games are played with all lures available. 14) Games are planned to be played during MARCH-APRIL 2018. Time-schedules are informed about 1 week before match. I have mailed IP address, host, password etc information to the captains. Hosts, please mail to me information about who will host the finals. I mail this and other details to captains then. Captains of the finalists are mailed, please check your inboxes. In First map pp2 Buddy didn't count the biggest fish point. That's why Lithuania got 33 points in the final results. Mongolia got 4th place because they have better team score in one map. 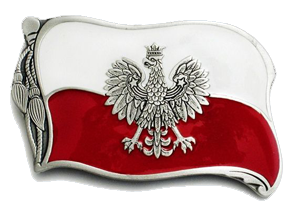 Congratulations to Polska! You received the World Champion title!